Since its creation in 2003 by Remi Arquier, Unfold3D was one of the first commercial software capable of automatically flattening 3D mesh geometries as the same time as preventing from stretching and distortion. Then, it rapidly found its place in the computer graphic industry while being adopted by many freelancers and major studios out there. Also, its core algorithms are now integrated in standard into Autodesk Maya. 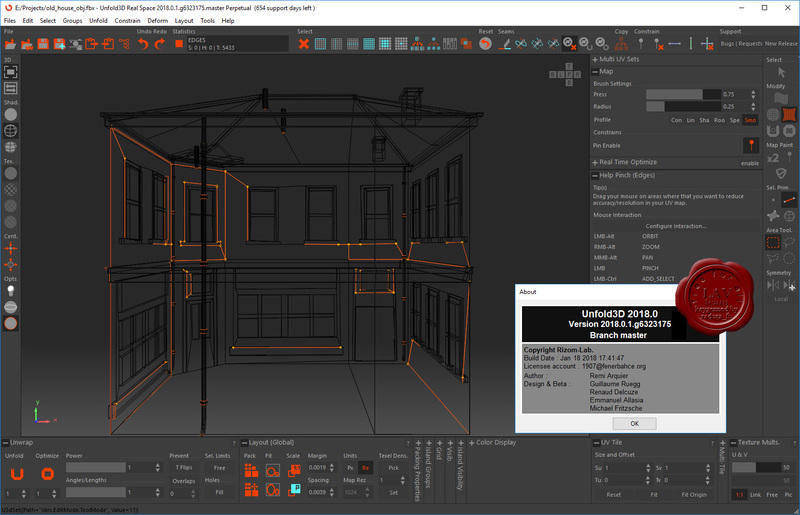 Today, following the path towards an ideal tool set capable of segmenting, flattening and packing UVs without any manual intervention, Rizom-Lab focuses on enhancing our technology, and making it available to 3D artists and product designers.